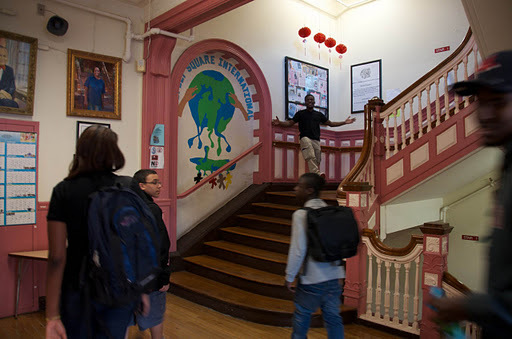 For the last 20 years, members of the PANE community and their friends and colleagues have provided various kinds of mentoring programs at the Muriel S. Snowden International High School, a Boston Public School in Copley Square. Our current project is helping Snowden seniors in the International Baccalaureate program to carry out their Extended Essays, a shorter, but no less daunting Senior Thesis experience. The class meets roughly once a week with the school librarian, but most mentors will connect with their assigned student by e-mail, Skype or possibly phone to discuss topics, sources, organization, and whatever snags and fascinating issues come up in the process. The students are in the process of committing to their Extended Essay topics, most of which are on historical topics ranging from early New England witch trials to the Tiananmen Square Protest. Please contact Mary Koger ’86, mkskoger@alumni.princeton.edu, if you’d be interested in being matched with a budding research paper writer over the next several months.